One of the best things we did in Bulgaria was to lose ourselves in its nature and discover breathtaking landscapes, waterfalls and canyons. 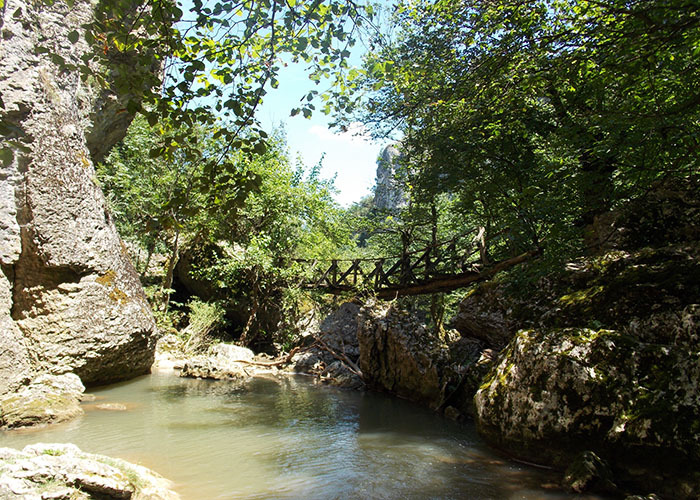 The Emen canyon is located along the Negovanka River. 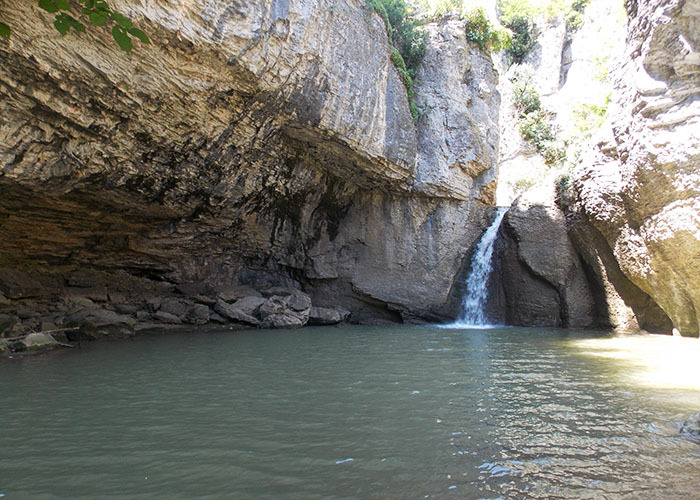 The constantly flowing river has given shape to small waterfalls and pools surrounded by cliffs that rise as high as 90 meters. 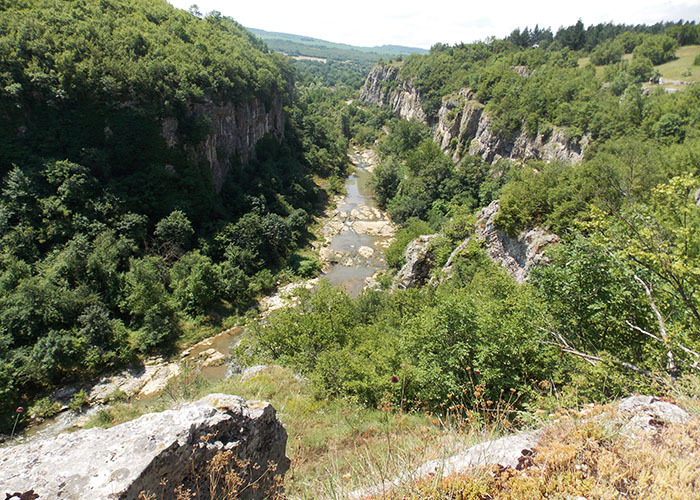 The canyon begins in the city of Novo Selo, and is divided into two parts when it comes to a valley where the small village of Emen is located. From here we start the walk. 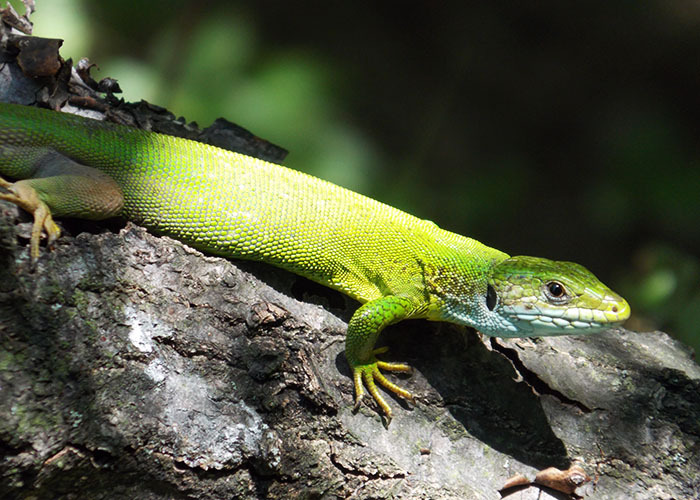 Because of its unique natural attributes and beauty, the region has been declared a protected reserve since 1980. Here we find the very first Eco-Trail in Bulgari, called Negovanka. 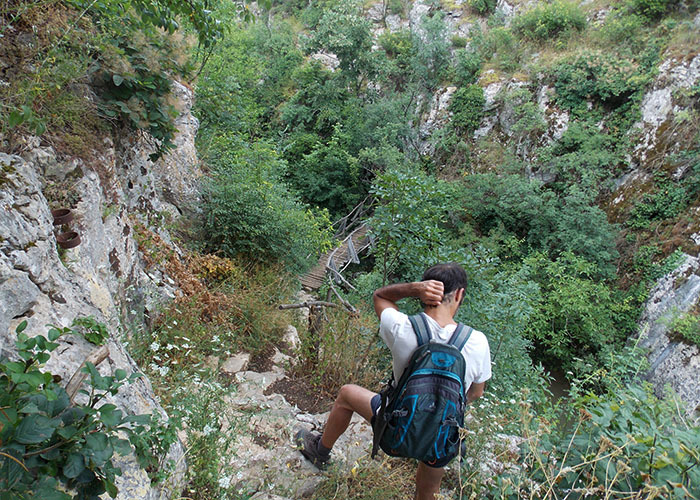 The walk starts from the Emen Cave, one of the longest in Bulgaria with 3113 meters. It was inhabited in the Neolithic period and artifacts have been found from the Bronze Age, the early and later Iron Age, and at later times in Antiquity. 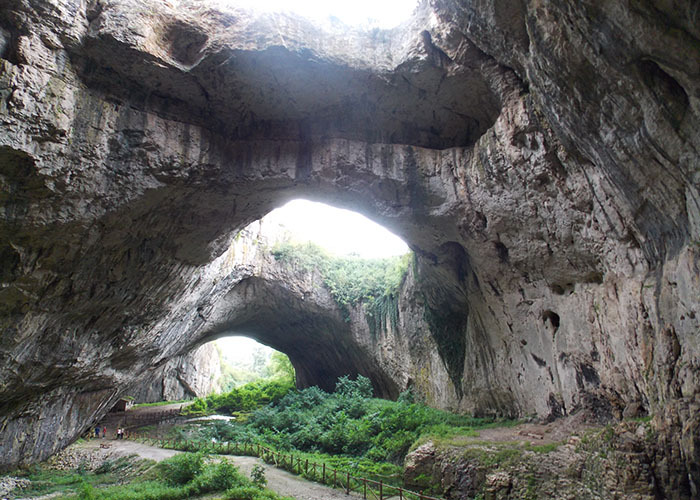 Today it is home to hundreds of bats in Bulgaria, and in the evening you can see how many of them fly out of the cave at the same time. 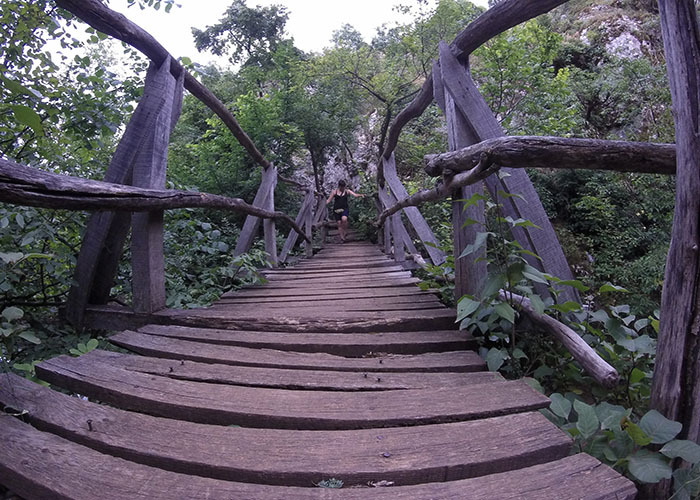 There are bridges, stairs and wooden structures throughout the canyon, but they can not longer be used. Almost all of them are destroyed, so now the walk runs only through the top of the cannon, offering lovely views during most part of the path. Getting close to the end of the walk we come to a wide dirt road, where we have to turn right, shortly after we will have to cross a wooden bridge in not very good condition which take us right in front of the Monin Skok waterfall. This has 10 meters of height and is surrounded by steep cliffs. Perfect for diving and cooling off. Highly recommended. You are surrounded by nature, beautiful views over the cannon, almost no people even if it is a weekend, and a 10 meters waterfall where you can take a dive at the end of the walk. ✌️ Bulgaria is one of the countries where we didn`t find tourists wandering all around, in every place. Its nature is there for you to explore, to enjoy what it has to offer, without dozens of people around you. 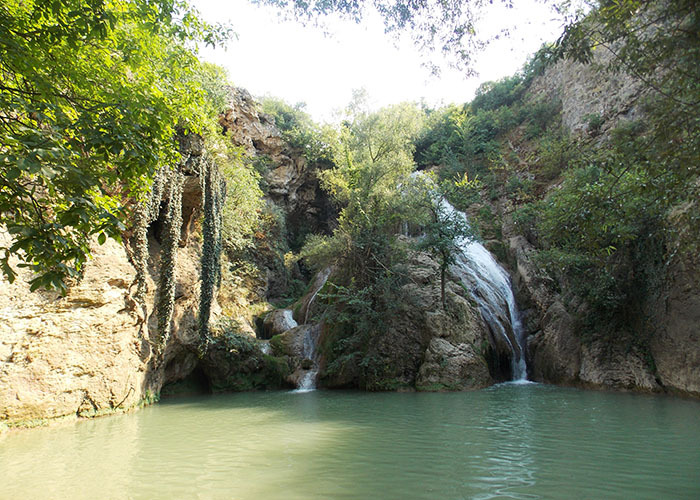 Near Hotnitsa, a village only 14 kilometers far from Veliko Tarnovo, the cold waters of the Bohot River fall form a high of almost 30 meter, forming a pool with clear waters and a beautifull waterfall, Known as Hotishki, or Kaya Bunar. From the waterfall there is an eco-trail surrounded with vegetation that runs all along the river. 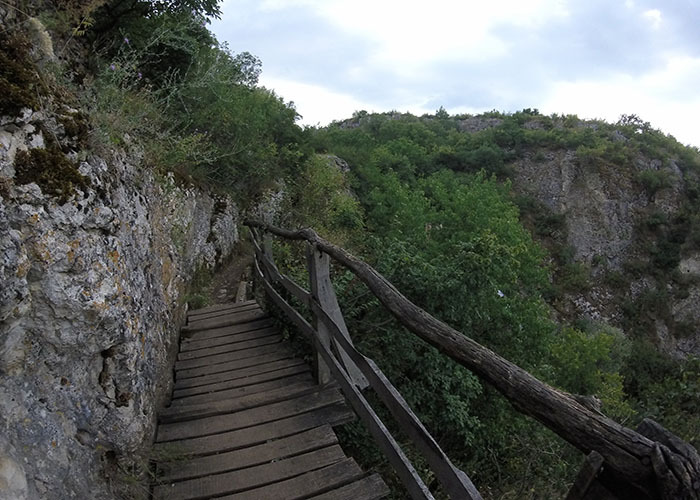 The length of the path is about 1.5 kilometers, but after just a few steps you walk into a small adventure of wooden bridges that take you from one side of the river to the other side, and creaky ladders on the walls of the canyon, next to small waterfalls and pools that hide along the river. At the beginning and at the end of the walk the raft of water formed at the feet of the waterfall is an invitation for you to dive, cool off and admired the beauty of simplicity. The water is cold but the feeling is worth it. Click on the icons and get access to photos and route information. There is a sign in the middle of the village that point towards the right road to get to the Hotishki Waterfall. First thing you will see when you get to the spot is a house in ruins, where you can park and spend the night. There is a small meadow near the waterfall where its owner sells soft drinks and spend the summer. From Hotishki the waters of the river continue its way in a small stream towards the village. Have you been overlanding Bulgaria? How was your experience?